Hey mga ka-tropang TNT. 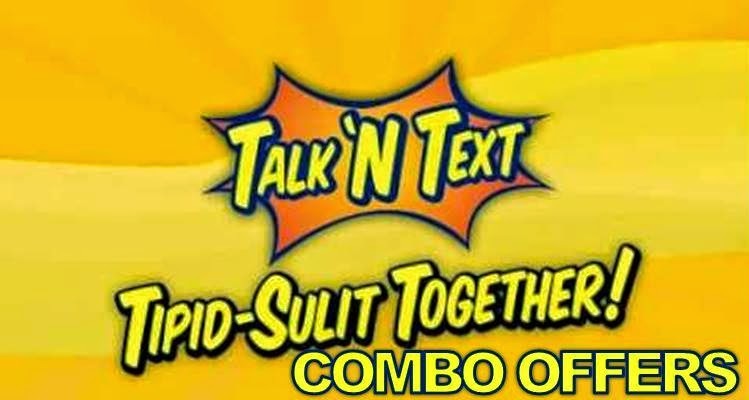 Here's the list of the most recommended and affordable combo promo offer from Talk N Text. 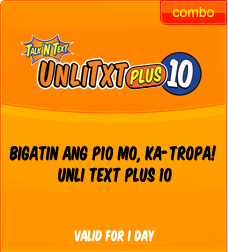 This are the most popular and latest promos that you and other TNT subscribers usually used. We hope that this list will guide and help you in choosing the most convenient promo for you. 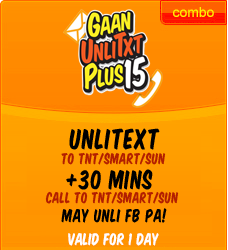 This promo gives you unlimited text to your TNT, SMART and SUN friends plus 30 minutes worth of calls to TNT, SMART and SUN friends. 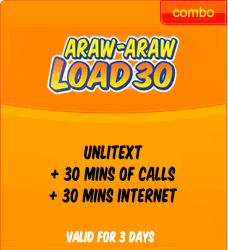 Also you can enjoy unlimited FB and this promo is valid for 1 day for as low as P15. 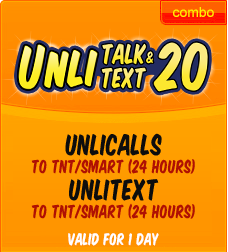 TNT offers you UnliTALK & UnliTEXT 20. 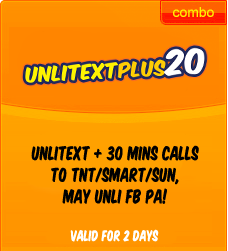 Gives you unlimited calls and unlimited texts to all your SMART and TNT friends for only P20 and valid for 1 whole day. TP10 and send it to 3545. This promo is offer to all Talk N Text Subscribers nationwide. 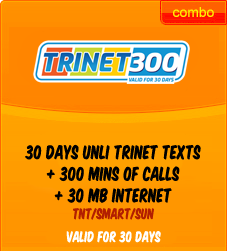 gumagana pa ba yan na trinet300?